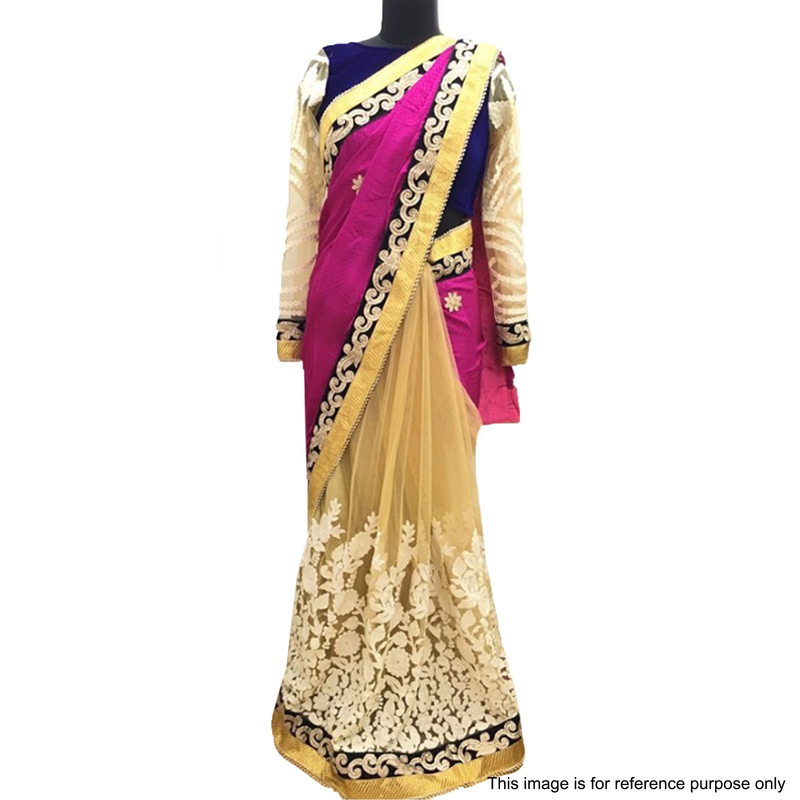 Be the centre of attraction wherever you go with this magenta - beige half & half saree. 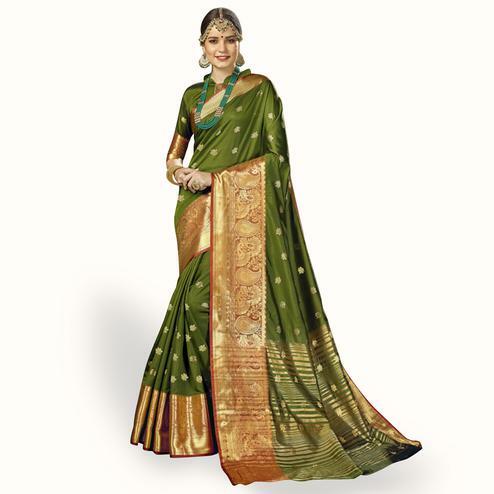 This designer saree is made of georgette fabric & further enhanced with embroidery & patch border work. 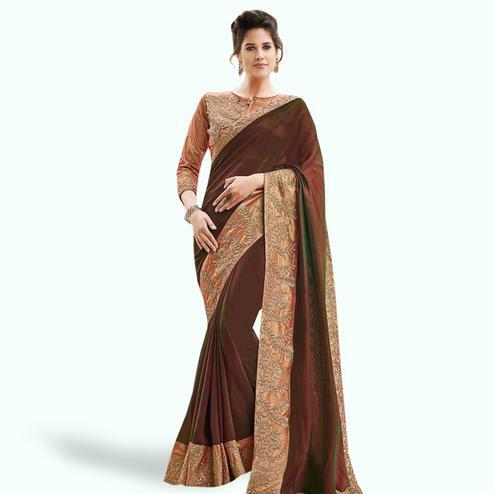 The saree comes with a velvet blouse with embroidered sleeves. 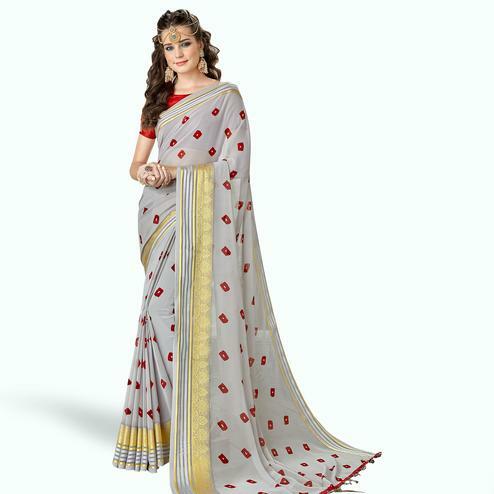 It's a perfect outfit for wedding functions & special occasions.